Home | Production Equipment / Engineering - Fuji Blastech Thailand Co., Ltd.
Back to Fact-Link's Top Page > Production Equipment / Engineering > Fuji Blastech Thailand Co., Ltd.
Fuji Blastech Thailand Co., Ltd.
Entrust us designs and manufactures for sandblast machine! The reasons we enjoy client confidence. Fuji Blastech Thailand realizes various kinds of surface treatment that meet the needs of the times by using its expertise with high reliability to flexibly control the principles and the wide variety of abrasives. "Blast" is used in all fields ranging from aircraft,automobiles,and IT products to wooden and glass artifacts,and has now become a technology indispensable in production scenes. To manufacture high-quality blast systems. 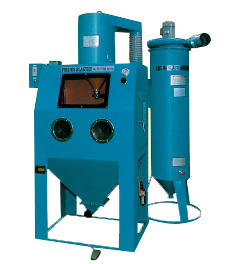 Mechanisms for circulating abrasive that materialize the injection,collection and sorting of abrasive in an integral manner by using airflow power are the core technology for sandblasting. 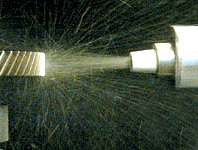 Not only providing the highest-level technology in injecting,sorting and collecting abrasive,but also in stably activating the equipment and detecting errors,and inspecting and maintaining processing specifications,we regard sandblasters as a system in a comprehensive manner,thereby offering high-grade devices. We provide the blast systems best suited for user needs. 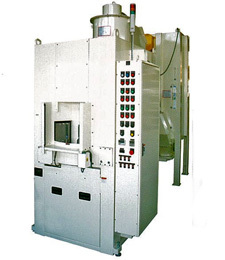 Our machines have been used in various scenes of production with a good track record. Our specialized staff proposes a most suitable machine for your workpiece, processing purpose and the quantity of production.